The Irish House Restaurant and Trinity Pub is available for rental for your special event, including showers, birthdays, business gatherings, holiday parties and more. Please call to discuss additional availability for funeral receptions if needed. Call 413-342-4358 for availability and booking. The cost of china is included in the buffet prices. Price of meals is per person, serving groups of 35 or more. A non-refundable deposit of $150 is required to reserve the date. Subject to all taxes and fees. View our flyer for more information and menu options. 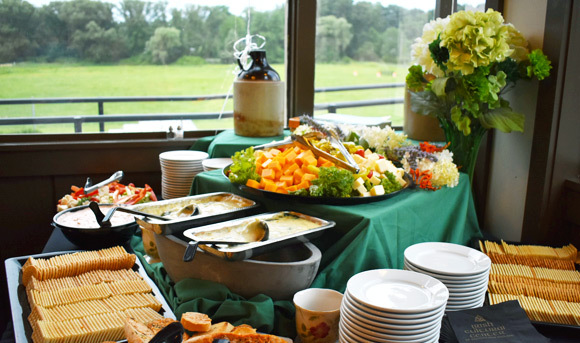 Choose between 3 different buffets; we also have other options available, plus a full bar. All catering is done by our in-house staff, led by Chef Giuseppe. We are happy to discuss any options to suit your needs. Please call 413-342-4358 for availability and booking.